The movie that took a century to come to the big screen is almost in theaters. Here is my Avengers: Infinity War Spoiler-Free Review. A big thank you to Marvel Studios for flying me out to LA to attend the Infinity War Premiere. Last night I watched Avengers: Infinity War in the iconic Dolby Theater. The entire experience was surreal and I have been thinking about every single moment since the opening scene aired. I feel like I will be processing the movie and everything that happened for a lot longer until I see it again. This is the type of film that you are going to want to see again right away so go ahead and make plans to do that now. 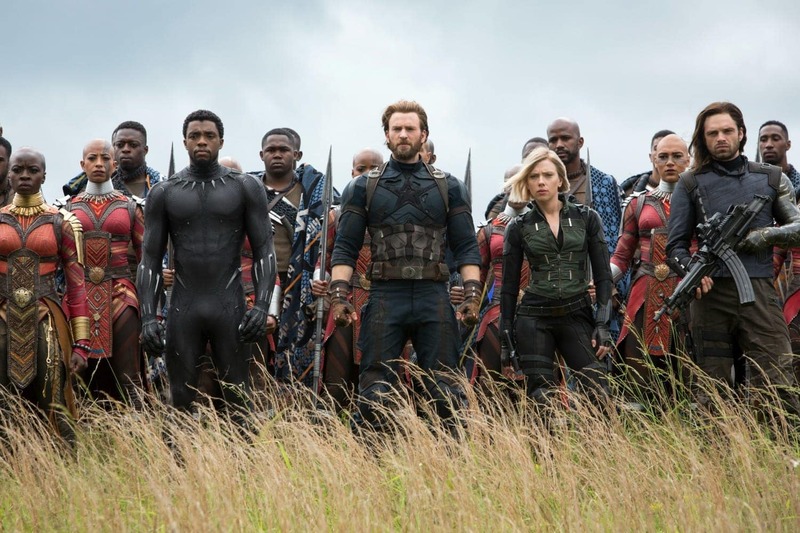 The Marvel Cinematic Universe film Avengers: Infinity War has been 10 years in the making. They have been building up to this one film for a decade. I don’t think I am stretching at all when I say that this is one of the most anticipated movies of the year. All of our favorite heroes unite to take on the universe’s biggest villain to date, Thanos. The story surrounds Thanos quest to obtain the infamous Infinity Stones. 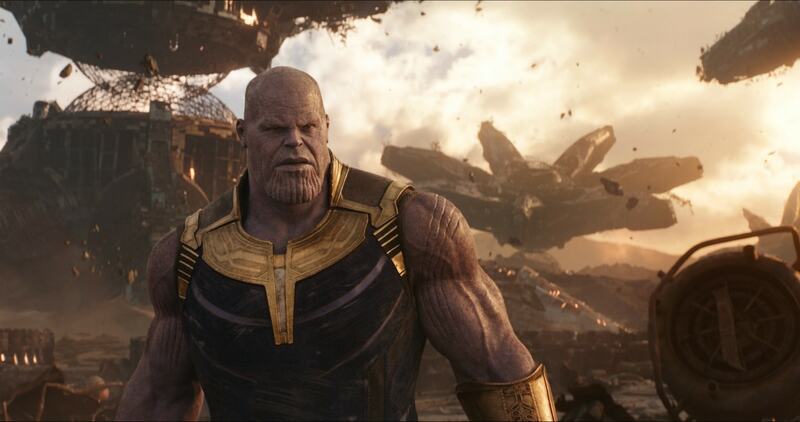 Thanos wants the six infinity stones so that he can be the most powerful person in the universe and be basically unstoppable. He can achieve this by killing half of the population of the universe with a snap of his Infinity Gauntlet fingers. A little word of warning… First of all, this is a long film that has a lot of important storylines going on at all times. In all seriousness, you need to use the restroom before the movie starts and not leave the room or you will miss something. 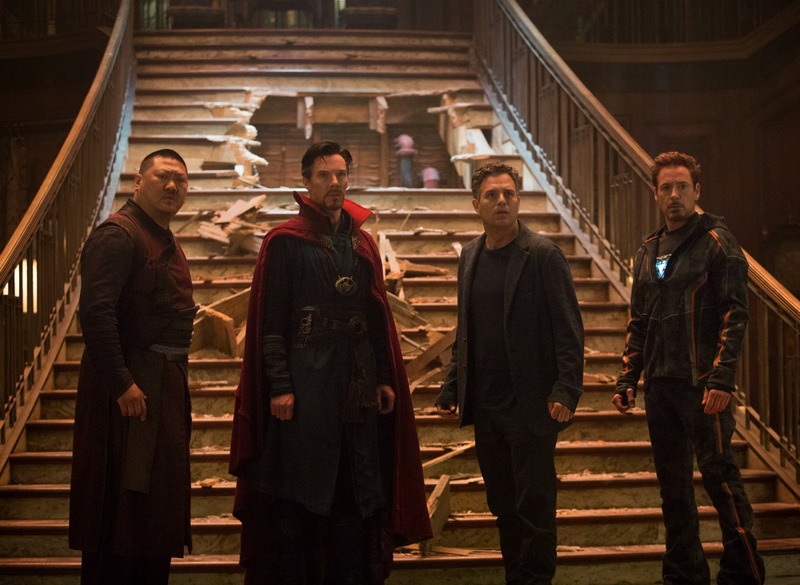 Like many of the Marvel movies before it, Infinity War was both funny and full of adventure and makes you feel for the characters. It starts where Thor: Ragnarok leaves off as Thor’s ship is being approached by a much larger spacecraft. It is difficult to talk about the movie without giving away some spoilers, but I am going to try. 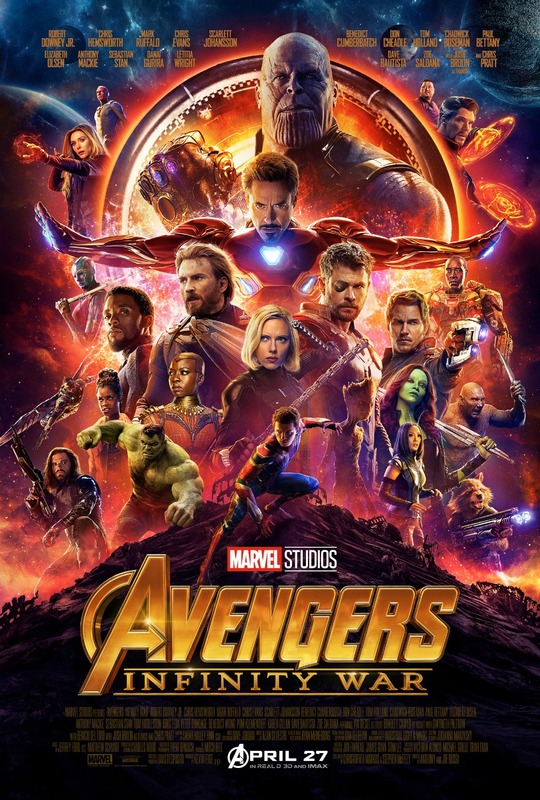 Something huge happens in the first 10 minutes of the movie that both shocked me and made me realize that this movie changes everything and that the Marvel Universe will never be the same. The entire 2 1/2 hours of film was riveting to watch and I never took my eyes off the screen. 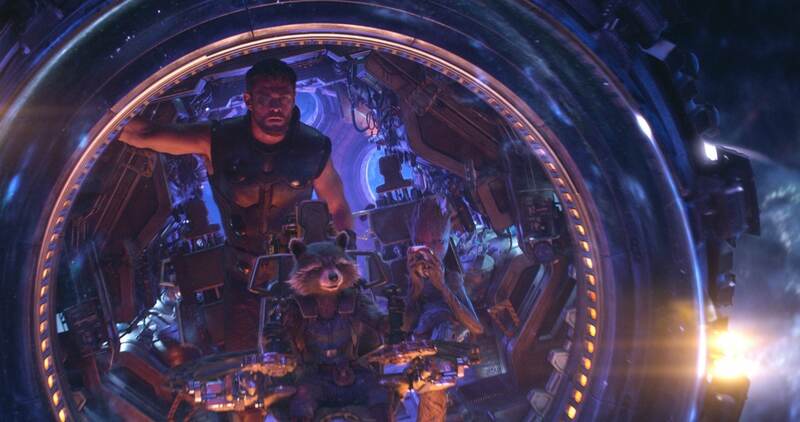 I love how Marvel managed to connect the Guardians of the Galaxy to the Avengers. I was a little worried that we may lose a little of the humor and sass that the Guardians bring to the big screen, but they managed to keep the characters personalities and melded them seamlessly into the Avenger universe. They also kept the character Doctor Strange true to his unique visual style that we were introduced to a couple of years ago. It’s really hard to say if I didn’t like parts of the movie because you have to understand that is only half of the story. I can tell you that I left the theatre with more questions than answers and with a ton of feelings. I am going to come back to this post in a few weeks after many of you have had a chance to see the movie to update this part of the review. I would love to talk more in depth about my feelings. Is Infinity War OK for Kids? Parent’s should know that this film is rated PG-13 and I do feel like that is a good age group. If you have younger kids who want to see the film, be aware that Infinity War deals a lot with relationships and death so if your child is sensitive to that type of material then they might not tolerate the movie. These are characters who we have built a relationship with and things do happen to them that kids might not like so keep that in mind. Marvel movies do sometimes have adult language involved and Infinity War does as well. Infinity War is a must see movie and will probably go down as one of the most important superhero movies ever made. Be sure to check it out as soon as it is released. Avengers: Infinity War releases into theaters on Friday, April 27th.